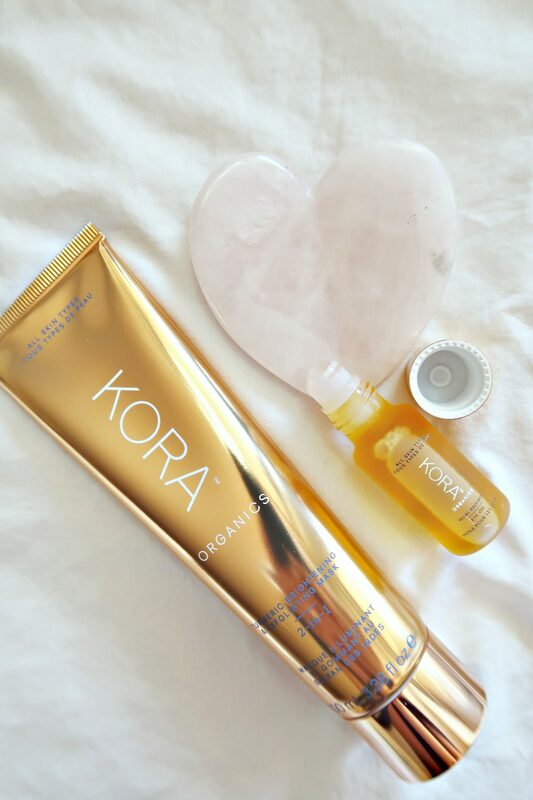 If you have been following for a while you know how much I love Kora Organics! It´s always super exciting when they launch new products because you know it´s gonna be a good one. 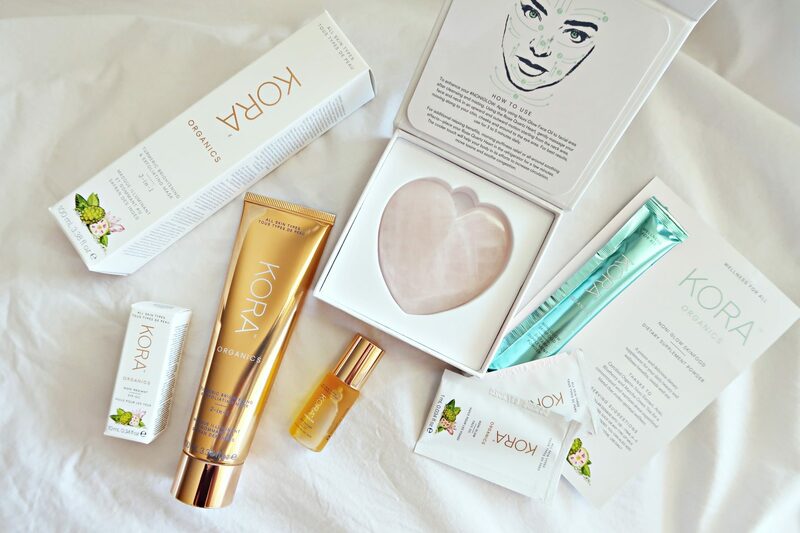 I, of course, had to get my hands on some of their new products, so I thought I would do a first impression for you lovelies! Get 10$ off your first purchase with my link! My first impression is definitely the packaging with the rose quartz roller, it´s so unique and different! The oil melts into the skin so nicely. I thought it would be more oily, but it´s super nice on the eye area and the roller is so comfortable I just wanna keep rolling! When I opened this gorgeous little box, I immediately felt this energy of happiness and love. This tool is one of my favorites, it really gives the face a lovely massage and you can see the puffiness disappears. I´m excited to see if there will be any difference in my face. I will do a whole blog post about gua sha very soon! Ah, this packaging! So gorgeous! My first impression is that the ingredients are amazing, that it exfoliates beautifully and leaves the skin baby soft. I´m so excited to see what this mask can do for my skin if it can change any discoloration or scarring. So far, I´m very intrigued. I have so much love and respect for this brand and how much love Miranda has put into it, it truly shows. I´m surprised that I don´t see more people talk about it! Cannot wait to for the next product launch. Can you?! 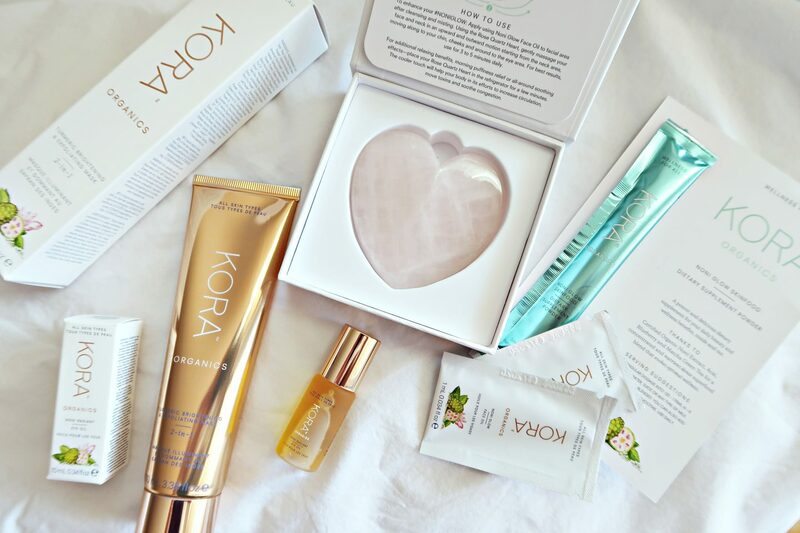 Oh, Tell me your favorite product from Kora Organics in the comments. Wow, I was just sold by the packaging. It looks gorgeous! Is this a subscription service or can I purchase the set at Sephora? I can’t wait to read the next blog post about these products. I know, the packaging is amazing! Wow. So elegant and beautiful! The Rose Quarts sculptor is intriguing!